This interview originally appeared in Red Star #18 as ‘We need a new international’. 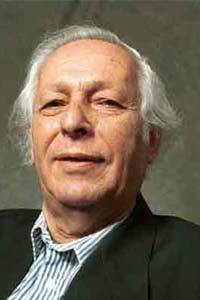 Prof. Samir Amin is major revolutionary thinker with dozens of major works over forty years exploring deeply the development and crimes of international capitalism. He was interviewed by Roshan Kissoon and Chandra. Can you tell us about yourself briefly and your views on Marxism? I qualify myself as an activist, maybe an intellectual activist. My whole active life was deeply connected with the liberation movements in Africa during the late 40’s, 50’s and 60’s and the after; that is roughly I could say the Bandung period, starting from 1955. That struggle has changed more than any other struggle, possibly, in the last 50 years. I was and I am an economist and therefore also a Marxist. And, I don’t recognize the qualification of neo-Marxist. I consider a Marxist as starting from Marx but not stopping at Marx. That is considering that Marx thought, laid the foundations for understanding how to analyze and how to change the world. And in that the long history, as of Marx I consider that of course Lenin and especially Mao wrote and made fundamental contributions for understanding how to change the world, taking into account the fact that imperialism has divided the world into centers and peripheries. And, created the polarization at a global level and deepened it from one period to the other. And the question of the long transition to socialism had to be dealt with in a very different way from the Eurocentric, workers vision; the traditional vision of the 3rd international. That is about myself; I’m currently the chair for the World Forum for Alternatives. Which is a network bringing together thinkers of the world from all regions of the world, north and south, whose qualifications are to be anti-capitalist, anti-imperialist, of course, but anti-capitalist more than that, however, in a non-sectarian way. i.e. admitting variety of visions of what are the efficient strategies of moving ahead beyond capitalism. You see, the main challenge which has been probably to raise the things overlooked in what I call historical Marxism i.e. Marxism as understood by Marx. The main weakness of that historical Marxism is that it has not ever considered the consequences of the very fact that capitalism in its global expansion from the very start, because capitalism from the beginning tended to be a global system, has created the polarization of the dominant centers and dominated periphery. And that, from periods, of course, the imperialist reality has itself changed from period to period in the sense that the way it used to be defined, it has operated, has changed from place to place. That the fact is, that polarization has continuously been created, recreated and deepened from one period to another. That fundamental fact was overlooked. I think that Marx, because he was really an exceptional person, had a feeling of that reality; however, not much more than that. Lenin started taking into account this reality, at least partly. One; by qualifying the system as becoming imperialistic, as if it had not been imperialistic before. And, one would not understand how the Americas were conquered without the vision of the imperialist expansion characteristic of the capitalist expansion. How India was colonized long before the modern monopolies of the end of the 19th century. But he had also started understanding that the polarization meant a strategy for the socialist revolution in a global level different from the one which he had inherited from the historical Marxism before him. Now, the 2nd international was terribly Eurocentric and based on exclusively the working classes, without considering the peasantry. Because, indeed, in the case of Western Europe, at least, the capitalist development had solved the agrarian question in its way. But they projected that in to the future for the others, imagining that the path that Europe has gone through will be the path laid to the other regions of the world. And, therefore, they have this Eurocentric vision, the 2nd international, which associated with pro-imperialism. We can call it social imperialism or social colonialism. Because, they considered that colonization and imperialism was bringing in ingredients for change and progress; and for peripheries catching up to becoming like centers and putting the question of the socialist revolution later in the agenda. Lenin started understanding that this was not the case and that he was expecting a lot from the working class of the west, particularly from Germany. That the Russian revolution has started in the weak link, as he says which was in the periphery. Russia was at that time in the periphery, it was a non-industrialized country, only starting industrialization, with a vast majority of peasants, still. And he understood the fact that, he was in a way disappointed by the fact that, the (Russian) revolution was not followed by a German revolution. However, he drew the conclusion from that the revolution in now moving to the east. Remember Baku, it’s a turning point. And it’s an alliance between the workers from the Russian revolution and the peasants of the east, which will bring the 2nd wave of the revolution. And that is what actually occurred i.e. revolution moved in to the east to China, later to Vietnam, to Cuba etc. It moved to the east. And as a result of the polarization, the revolution in the east could not be a socialist revolution led by the working class. That was a revolution of a national, popular, democratic block lead by the working class and the majority of peasants and less than poor peasants with the support of strata of middle classes, the revolutionary intelligentsia and possibly with some neutralization of some segments of bourgeois or capitalist class. Mao was not only the first to do it but also analyze it, which was his specific contribution to Marxism, to living Marxism. And we are still confronted with the same challenge today in all of the rest of the south i.e. Asia, Africa, Latin America. These are societies which are, as a result of imperialist expansion, maintained in a state of peripheral capitalism with a majority of peasants. And, therefore, the revolution, which is on the agenda, will not be effective if it does not enroll the majority of those peasants in alliance with popular classes, working classes, more or less developed according to the country and with revolutionary intelligensia and so on. That is the Maoist strategy remains the only necessary strategy, for moving ahead on the road to socialism. That is what the Indian Communists have not understood and that is what the Nepal Communists have understood. That is the Indian communists, and not only the Indian Communists, but I would say similarly the Arab Communists, similarly the Communists from South Africa, from Latin America as of the 50’s abandoned the Leninist-Maoist vision and strategy of revolution based on a strong peasant revolution, revolt; abandoned it to the benefit of supporting the national bourgeoisie, anti-imperialist block which came out of the Bandung, i.e. the type of Nehru in India, of Nasser in Egypt etc. And, abandoning that, they became the left wing of the national bourgeoisie movement defending the interests of the working classes, but not more than that, and abandoning completely the strategy of mobilizing poor peasants and starting the revolution from that end. That was corrected partly in India with the Marxist-Leninist, and some of Maoists are participating in the peasant, naxalite movements. However, for variety of reasons that we can’t analyze in one or two sentences, I wouldn’t say that they have failed but they have not succeeded. They have not failed in the sense that the ingredient is there, the problem is there, and peasantry is there in many cases. Nevertheless, they have not succeeded in the sense that they haven’t been able to mobilize those movements to have them spreading throughout the Indian sub-continent and to establishing the links with the victims of the capitalist expansion, to working classes, to lower strata of middle classes and so on. While the Nepalese have, at least, succeeded at the first chapter of basing their struggle in peasant revolt and then making, becoming, a force able to overthrow the regime, the King and his comprador servants; and then coming in to negotiation, agreement, with other possible partners in the building of a national, popular, democratic, hegemonic alternative block; alternative to the comprador ruling class submitting to imperialism and neo-liberalism. Now that means also another point should be added. Can you explain the Communist vision for the 21st century? This is a vision of the long transition from capitalism to socialism. Now, the vision of the third international was a vision of a short transition i.e. the revolution, even if the revolution is not a pure socialist workers revolution, involving the peasants and other strata, it moves on quickly to a socialist revolution, and then building socialism in a very short period; whether ten years, twenty years or thirty years, it is a very short period. That was the pattern in the mind of third international. De facto, without breaking from the third international, Mao took his distance. And the theory of the new democracy was published in western languages in 1950 or 52 but which was known to the Chinese revolutionaries from the late 40’s. It was based on that new understanding of the long transition i.e. not building socialism immediately. Many of the Chinese communists, including Mao, in the name of Mao, said they were building socialism. But, Mao himself was very careful about that, and was always saying no, we are still in the very early stages of a long-long road; he even used the typical Chinese way of expression “it will take 1000 years”, which means a long time, which means don’t be in a hurry! Don’t think that socialism is around the corner of the streets! And, this is fundamentally correct; I think, we should think of a strategy i.e. a strategy for socialism for the 21st century. The fact that the wording is popular is we are in 21st century. That is my reading of our history i.e. the 20th century was the first wave of successful struggles and revolutions for the emancipation of labor and of people. And the two cannot be disassociated. Because, there are labor, however, the very fact of polarization on a global scale created by capitalism, by really existing capitalist imperialist systems, has produced a situation in which is wider than the working class, the people, the working people of the south are the victims as well as the working classes. Stricto sensu, in the narrow sense of the term, the industrial working class. And, therefore, what is on the agenda is a long period of national popular democratic series of stages, not really one stage, a series of successive stages, in which there is a combination of some dimensions, some aspects of capitalist accumulation; and, therefore, of capitalist relations of production and capitalist exploitative relations. There are also tendencies of, creating and developing new relations, tendencies towards new social relations which go beyond capitalism, which are socialist in nature and that go far beyond the distribution of income and so on. It means a very complex combination of capitalism because there is a need to develop productive forces. Our communism cannot be communism of the poor; maintaining the society in a state of outrageous poverty. Productive forces have to be developed. And by accepting it, you are bound to accept, partly at least, capitalist ways of developing. Therefore, this is the vision of long transition which is new. It’s not Samir Amin. That’s why, I consider myself a Maoist. Because, there’s nothing more than making more explicit what is already implicit in Mao; but in Mao, with respect to China. And expanding it, despite the variety of conditions of the entire South i.e. Asia, Africa and Latin America, and this is why we need a new international. My reading was that the 20th century was the first wave that took the shape of Russian revolution, the Chinese revolution, plus Vietnam and Cuba and the national liberation of Africa and Asia which was to various degrees anti-imperialist with a class content ambiguous, usually with a bourgeois leadership or a potential bourgeois leadership; associating in some cases popular classes. Now, we are in the process of having a 2nd wave. And, it cannot be a remake of the first one and it should add to it not by renouncing the target of socialism by replacing it with capitalism with a human face or so called ‘democracy’. However, socialism as the target and, simultaneously, taking into account the shortcomings of the first wave as lessons; particularly, the question of democracy. Democracy understood, not as multiparty elections, but as process of democratization of society, which is a far more holistic concept associated to social progress and I’m measuring my words. I’m saying social progress, it’s not socialism, is a ‘perspective’ of socialism. This entry was posted on November 24, 2008 at 10:00 am	and is filed under Maoist Theory, Nepal News, Uncategorized. You can follow any responses to this entry through the RSS 2.0 feed. You can leave a response, or trackback from your own site. Samir Amin tries to make it appear that he has a sharper analysis of global trends than Marx’s or Lenin’s. He does this by making claims about what Marx and Lenin failed to see or point out. The problem for Amin is that these claims are false. In contrast, Samir Amin promotes the anti-Marxist notion that all societies, even if pre-capitalist by Marx’s own standards, are already capitalist, in particular, peripheral capitalist, just as a result of their becoming connected to capitalism through trade and the market. Again, contrary to Amin’s claim, Marx clearly saw the consequences of this global polarization. He recognized the anti-imperialist and national-democratic struggles and revolutions in the oppressed countries as the necessary lever for unfolding the crisis of capitalism and setting the stage for socialist revolution in the imperialist countries. It is Samir Amin who failed to understand what Lenin stressed, that the new imperialism was even more driven and functional to capitalism, due to its monopoly stage. At the end of his article, Amin claims that he considers himself a Maoist. But this claim is quite dubious. First, Mao explained and propagated the view that in the poor, oppressed countries, such as old China, semifeudal and semicolonial conditions prevailed or were predominant. In turn, it was this fundamental contradiction that dictated it would have to be transformed through the new-democratic revolution into a new-democratic society. There is a organic link and dialectical identity between the semi-feudal, semicolonial nature of society and the new-democratic nature of the revolution, including protracted people’s war, needed to transform it. It was this truth as applicable to present-day Nepal that the Nepalese Communist Party held firmly in the course of its 10-year people’s war from 1996 to 2006 and contributed so much to revolutionary gains during the period. In contrast, defying Marx’s description and classification of capitalism, Samir Amin argues that poor, oppressed countries are peripheral capitalist simply by the virtue of the linkages with the capitalist market. In this regard, Amin is a Trotskyist or neo-Trotskyist. Certainly, not a Maoist. Second, Amin claims that Mao advocated a long transition to socialism. This claim is patently false, flimsily based on an alleged statement by Mao, “it will take 1000 years”. The real evidence of the pace and tempo of socialist transition Mao envisioned and upheld was the actual reality of Chinese change toward socialism under Mao’s leadership and guidance. From 1949, it took only six years for revolutionary China to have achieved the organization of most Chinese peasants in production cooperatives by 1955. And then, just then years after liberation in 1948, Mao led the Great Leap Forward in 1959 basically to organize Chinese society into communes, basically a socialist form of organization. In both campaigns and movements, Mao faced the bourgeois opposition of Liu Shao-chi and Deng Xiao ping, who like Amin and Bukharin earlier in the Soviet Union, argued that it was necessary to first develop the “productive forces”, especially productivity and technology, principally through capitalist-type incentives instead of prioritizing the raising peasants’ socialist consciousness and management skills. Mao was fully aware of the dangers of spontaneous bourgeois and petty-bourgeois tendencies among peasants and the need to overcome this early on through a rapid pro-socialist transition such as cooperativization and the commune movement. So, in this regard, Amin is a Bukharinist or Dengist. Certainly, not a Maoist. Just like Marx when confronted by revisionists who described themselves as Marx, would announce, “Then I am not a Marxist”, Mao would, upon hearing Amin’s self-description as a Maoist, probably then remark in the same vein as Marx, “Then, I am not a Maoist”. Sorry I have to disagree with you Five Ridges. Just some very basic ideas, because what we are dealing is very complicated and there are things I still don’t understand well. But Deng is truly a revisionist, a huge one at that. So is Bukharin. But Samir Amin cannot be compared to them. He has some very good writings about Mao that is worth reading. In the 1970s, Mao was alive. And Mao didn’t criticise Amin. Doesn’t that mean anything to you? I’m not here to defend Samir Amin at all. But Leninism is built on top of Marxism. And Maoism was built on top of Leninism. Lenin never saw the People’s War; and Marx didn’t see the evolvement of imperialism as Lenin saw it. That doesn’t mean that Marx or Lenin was wrong. Are the semifeudal semicolonial countries just feudal countries? Is Nepal just a feudal country? Or Angola, Iran? No, they are capitalist countries. Maybe not full capitalist countries, but capitalist nonetheless. Mao called it bureaucratic capitalism. Bureaucratic capitalism is the system that the imperialist country uses to invade a backward nation. They use the bourgeoisie down there, so this bourgeoisie, this comprador bourgeoisie progress and develop by serving imperialism. Bureaucratic capitalism is capitalism without destroying the feudal economic base. There is an alliance of the newborn bourgeoisie with the landlord class. But the bureaucratic bourgeoisie, servants of the imperialists, they are the main rulers in those countries. When the proletariat in a semifeudal country fights an antiimperialist war, they are mainly fighting the ruling class in their country, and the main target they go against is bureaucratic capitalism. oh, he’s not a maoist! what the hell does it matter whether or not he is a maoist? The matter comes down to who decides to label whom Mao Tse Tung Thought believer or Maoists… And remember Emil that in first world countries, differences between a Maoist fellow’s papers and traditional contradictions with revisionist parties are only words. Maoism matters where it truly is applied through people’s war and, that’s real. What or how it applies in the first world countries are to be seen. I just read Samir Amin one more time and, yes, he has some mistakes, in my opinion. I’m sorry I did not point that out. But in the question concerning socialism in the 21st century, he implies that Mao said that it is going to take 100 years, and that is not true. In a semifeudal and semicolonial country, the first revolutionary stage of struggle is that of the people’s war and of New Democracy, the stage when the struggle is against feudalism, imperialism, and bureaucratic capitalism. But when the proletariat and the peasantry triumph in this stage, and conquer power. They are able to transform their country with political power in their hands. There, they are starting the socialist society. The socialist revolution has started, with the objective of reaching communism. But the stage of the people’s war does not last 100 years. In the case of China, the New Democratic stage in total started from 1928 (if we count from the Autumn Harvest) to 1949, that is roughly 21 years. So if Samir says that it takes 100 years to attain socialism, he is utterly wrong. The long stage comes when you need to attain communism, that is a much much more complicated process. I’m happy we agree that Samir Amin’s theory about taking 100 years at attain socialism is utterly wrong. That Mao did not criticize Samir Amin when he was alive is not an argument that Mao would have approved of Amin’s theory that is opposed to Mao’s on semifeudalism. Neither did Mao criticize Andre Gunder Frank who are among the pioneers of the dependista school, to which Amin, like Immanuel Wallerstein, belongs. But that does mean Mao would have similarly approved of Andre Gunder Frank’s theory. “The autocratic rule of the emperors and nobility has been overthrown, and in its place there have arisen first the warlord bureaucrat rule of the landlord class and then the joint dictatorship of the landlord class and the big bourgeoisie….There is another concomitant and obstructive aspect, namely, the collusion of imperialism with feudal forces to arrest the development of Chinese capitalism…..It is certainly not the purpose the imperialist powers invading China to transform feudal China into capitalist China. On the contrary, their purpose is to transform China into their own semi-colony or colony…. (1) The foundations of the self-sufficient natural economy of feudal times have been destroyed, but the exploitation of the peasantry by the landlord class, which is the basis of the system of feudal exploitation, not only remains intact but, linked as it is with exploitation by comprador and usurer capital, clearly dominates China’s social and economic life.” (Mao, “The Chinese Revolution and the Chinese Communist Party”, December 1939). “ More than any other exploiting class, the big compradors control and use the state as a source of economic privilege, and as large client. High government officials also use their public office to cut into big comprador operations. These big bureaucrat capitalists are essentially big compradors. With the protection of the fascist state, they tend to monopolize the big contracts and accumulate land rapidly. But they stay within the bounds of the big comprador class and the semifeudal system.” (Jose Ma. Sison and Julieta de Lima, “Philippine Economy and Politics, 1983). That Amin declares “Maoism is needed everywhere in the world” does not make Amin a Maoist. Remember during the Great Proletarian Cultural Revolution in China, Mao himself complained that not everyone who carried the “Red Flag” or who declared themselves supporters of Mao were genuine revolutionaries. Part of the science and art of revolution is distinguishing between genuine Marxism and revisionism parading itself as Marxism, sifting the gold from the dross. “What the hell matters whether or not he is a Maoist?” The difference between socialist “heaven” and capitalist “hell”. The difference in many aspects of revolutionary theory and practice between Marxism and revisionism. That is and was the experience in China. May the lessons be learned. I coincide with Five Ridges that something is very wrong with Samir Amin’s theory, but my reasons are not the same. I still don’t think Samir is a Dengist. Deng was a Revisionist with a capital R. He betrayed Mao and downturned the Chinese revolution toward a capitalist road. I suggest that we must be very careful when we put names to people. In the above interview, Samir Amin insists in this metropoly-periphery thesis that makes him feel superior to Marx, or Lennin or Mao. His thesis has a lot of problems. Third, Marx showed that in order to solve this contradiction, there is to be revolution. And the working class, the proletariat, is the protagonist who stands as the antagonist against the bourgeoisie. Samir Amin dares to say that Marx forgot this or that. He is really making no contribution at all. To the contrary. Monopolistic. Big international corporations. Trusts. Parasitic. What we see today as burbles, as virtual money inflated hundred of times. As “neoliberalism” that is not liberal at all, because nothing is free. In agony. Because it is the last stage of capitalism and because it spreads genocide wherever it goes. This is imperialism and imperialism doesn’t equal capitalism in its earlier times. But Samir cannot see this. He is too in love with his center-periphery idea. But worst of all, and here I coincide with Five Ridges, is that Samir thinks the countries in the periphery are very far from socialism. That’s why he misinterprets Mao saying 1000 years to socialism. Mao already reached socialism in 21 years of people’s war. Why? Because a revolution led by the proletariat has conquer power in their hands. China was socialist in 1949. That’s what Samir Amin doesn’t accept. He claims that a revolution in the periphery would be led by the proletariat, the peasantry and other classes. I think that is his main mikstake. I would like some answer by a Samir follower. how was china socialist in 1949?? just taking the state power does not, in itself, cause a state to become socialist. is just taking power enough to create socialism? surely not. why is the second part of this interview not on this site? it is even more interesting, particularly when he talks about bakunin and proudhon and the first international. Thanks and congratulations for your wonderful informative site! There are great posts by Future’s Ours and Five Ridges who hint at “bureaucrat capitalists” and “comprador bourgeoisie”. Now, I just want to know 1) what are the major differences between the two terms. Doesn’t “comprador bourgeoisie” also have a hand on state machine as “bureaucrat capitalists”? 2) Was Mao the first who used the term”bureaucrat capitalists”? And 3) Do we know any Marxist leader/scholar who has talked about “bureaucrat feudals”? Writing in june 2012, four years after Samir Amins article was published, the relevance of the following may be questioned and of course rejected. Nonetheless i offer the following observations. Samir Amin has been calling for a new communist international for (at least) the past four years and has underlined that there exist and have existed since 2008 objective conditions that support the forming of a communist international. The initiative of activists in europe, the League for the fifth international (L5I) is one such attempt and is worthy, I suggest, of some active interest if not support. Unfortunately, as the above posts demonstrate, activists devote their time to questioning the allegiance and credentials of fellow activists rather than working to combine their knowledge, experience and talents in opposing capitalism. In the 1980’s I travelled through South America and became bemused and downheartened by the constant bickering between cadres of parties which should have stood united in the struggles against gringolandia (united states of north america). It was surreal to be asked, as a matter of consequence, i.e importance, where AKP (m-l) the (Norwegian) Workers Communist Party (M-L) stood on “the question of Albania (sic)” in the middle of a national election campaign by members of Partido Comunista do Brasil in 1988. An election where Lula and Partido do Trabalhadores and allies were in with a fighting chance of actually winning and the country was in shock over the murder of peasant organizer and eco-activist Chico Mendez. In Peru i talked with members of Partido Comunista del Peru M- L (Patria Roja) and Partido Comunista del Peru M-L-M (Sendero Luminso) who knew each other, had been arrested more or less simultaneously, tortured in the same prisons and were vehemently opposed to each others party. Patria Roja had alligned itself with the then Izquierda Unida (IU) and were organizing and arming the peasant resistance movement Rondas Campesinas against Sendero Luminoso! All three could squabble, fight whilst members of Movimiento Revolucionario Tupac Ameru (MRTA) were slaughtered by the armed forces of Garcias APRA government in the Japanese embassy in Lima. I have lived in Cuba for the last three years. In Cuba rumours regarding the death of Camilo Cienfuegos (october 1959) by order of a) Raul Castro b) Fidel Castro c) both still are doing the rounds when evening comes. Further, some suggest that Fidel undermined, failed to support and willingly avoided necessary security measures in guarding against “leaking” the location of Chés foco in Bolivia. The insinuation being that Chés increasing allegiance to China and thus Mao’s critique of soviet bureaucrat capitalism and subsequent social imperialism had become too much of an embarrassment for Cuba in regard to the country’s relations with their soviet ally. The aforementoned L5I has already been denigrated as a Trotskyist (International Socialist) manoeuvre hoodwinking upstanding m-l cadres into ideological subservience. Samir Amins call for a new communist international is surely the essential and core issue. For m-l-m cadres the priority task is surely whether or not the formation of a new communist international bridging and bringing together activists from the south, north, east and west is worth our efforts. Samir Amins 60 years of experience, especially given his experiences with the failed Bandung intiatives, his proven activism with the World Social Forum etcetera and how that experience can be used and utilized in forming a new communist international. That is surely what we should be discussing. Have we really forgotten Georgi Dimitrov?